Living a Fit and Full Life: Have the Cleanest House on the Block with Kärcher's New VC4i Cordless Stick Vacuum! 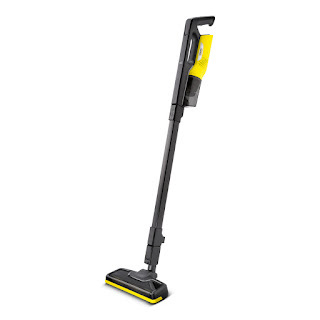 Have the Cleanest House on the Block with Kärcher's New VC4i Cordless Stick Vacuum! Powerful, easy cleaning: the Kärcher VC4i cordless stick vacuum is perfect for everyday cleaning – from floors and rugs to overhead areas. It sports a HEPA filter and weighs only 4 pounds! All the features of a larger vacuum and much more, in a compact size – the VC4i delivers consistent suction power thanks to its bagless cyclonic design. Equipped with a washable HEPA12 filter that captures up to 99.5% of dust and micro particles, it picks up a wide range of allergens. The VC4i easily switches from a stick vac to a hand vac by removing the extension wand. Its cordless operation runs up to 60 minutes (depending on usage) and even powers a motorized floor brush. At only 3" high, and with the ability to swivel 180°, you can easily vacuum under beds and around furniture. Weighing in at only 2.2 pounds in hand vac mode, or 4 pounds in stick vac mode, the VC4i is easy to hold and maneuver. It ships with a floor nozzle (with powered brush), an upholstery nozzle and a crevice nozzle. For maximum operating time between charges, activate the onboard Eco-Function. If you've been looking for the perfect light weight, cordless vacuum that can operate as both a hand vac and stick vac – and minimize allergens in your home – you owe it to yourself to try the VC4i today! Have the cleanest house on the block with Kärcher's new VC4i Cordless Stick Vacuum! I've tried a few products from Kärcher over the years and one thing I can say with certainty, is that they're very well made. Not only are Kärcher's products extremely well made but they also perform incredibly well. I had the pleasure of trying the new Kärcher VC4i Cordless Stick Vacuum and I'm definitely impressed! 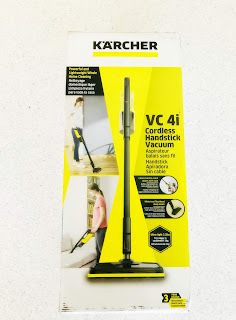 Kärcher's new VC4i Cordless Stick Vacuum is absolutely amazing! It's extremely lightweight and has incredible suction. It's a powerful cordless stick vacuum that is perfect for everyday use. It cleans carpet, rugs, tile and so much more. It has a bagless cyclonic design equipped with a washable HEPA12 filter that captures up to 99.5% of dust and micro particles. 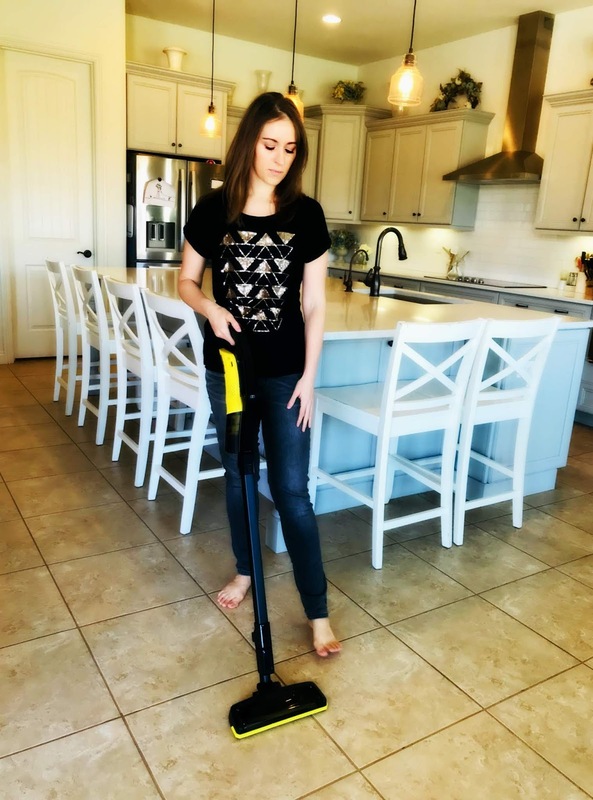 It's a terrific vacuum for those with allergies as it truly removes an amazing amount of dust and debris from surfaces. I used it for the first time on carpet that had previously been vacuumed and was amazed at all the dust, hairs and debris in the dirt bin. I absolutely love that it's cordless and can run for up to 60 minutes without needing to be recharged. I also love how quickly it charges and that it can operate as a hand vac or a stick vac. Kärcher's new VC4i Cordless Stick Vacuum will definitely help you to have the cleanest house on the block!